The ads are rolling in for Black Friday specials. We use a lot of the Jot Styluses around the office so we thought we would mention this discount that came to us via an email. 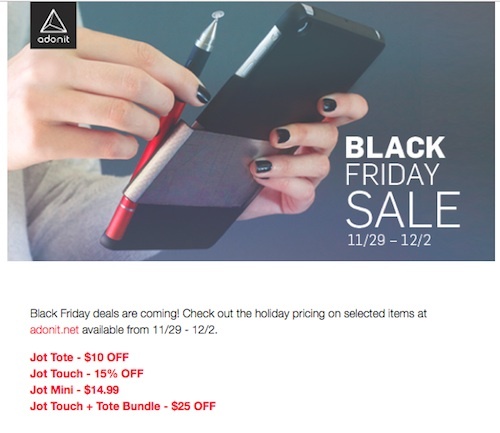 Nov 29 to Dec 2, a variety of discounts across the whole Adonit Jot line.